Today’s best-of-breed Warehouse Management System (WMS) incorporates and supports visibility across the supply chain management, enabling proactive disruption management and effective inventory management. Under the traditional model, warehouses have functioned within their four walls, leaving gaps among key supply chain players that disrupt the flow of warehouse inventory and information. This whitepaper provides information that is intended to help executives in warehouse management identify whether they need to upgrade their current Warehouse Management System and how to select a best-value WMS solution based on today’s competitive landscape. 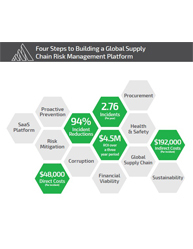 It addresses the following key questions: What are the four critical considerations for mastering supply chain management? 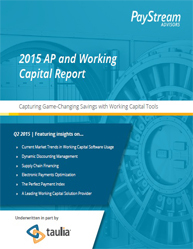 What are the telltale signs that indicate a strong need for a best-value WMS solution? 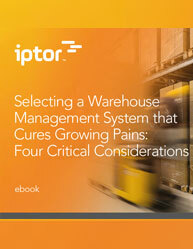 How can warehouse operations keep pace with the challenges caused by supply chain complexity? In today’s evolving supply chain, an omnichannel environment is a critical element for seamless customer experience but omnichannel operations requires a new way of thinking. In an omnichannel world, your focus needs to be on the front office and supply chain. Following are five mileposts on the roadmap toward leveraging order management to promote omnichannel retailing success. The world of omnichannel distribution requires a holistic view of margins, cost, inbound, outbound, inventory and customer service. What are the key performance indicators (KPIs) to measure performance for omnichannel success? What are the mileposts on the roadmap toward leveraging order management to promote omnichannel retailing success? What are the three pivotal capabilities in ERP and WMS you select that will help you best manage life in an omnichannel world? Successful retail collaboration between retailers and suppliers can help smooth pressures along the product lifecycle and better manage products and projects in retail. While today’s suppliers and retailers are facing significant but unique challenges, there are common goals that drives retail collaboration – higher sales, increased profitability, and stronger business growth. 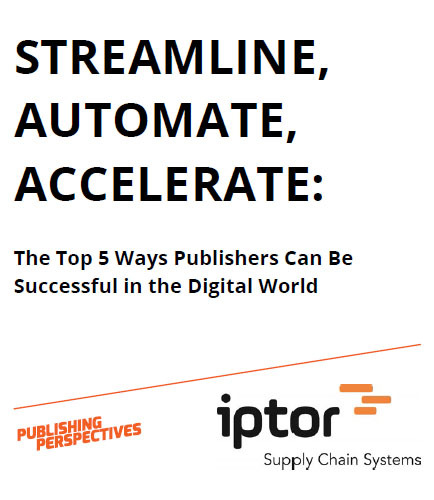 This insightful whitepaper scopes the essential of an efficient supplier-retailer relationship, its advantages and how to manage it to improve growth, competitive spirit and boost innovation through retail collaboration. This whitepaper on Successful Retail Collaboration addresses questions like: How retail collaboration has become the key to success for retailers and supplier? 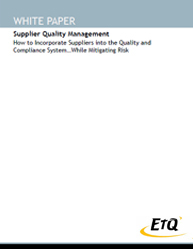 What are the major reasons you need to improve supplier collaboration? What is the role of Request for Proposal Management (RPM) in retail collaboration? What elements of retail collaboration would consumers find most valuable? What are the risks due to a complex organization and poor collaboration in retail? How is Installed Base Planning helping organization to optimize inventory along with better Service Parts Optimization ? Is it optimizing inventory by improving forecasts and generating more intelligent target stock levels in low and no demand environments common to services parts planning operations? 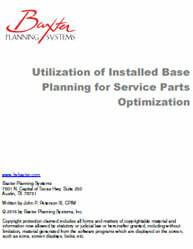 Read this technical whitepaper that answer questions like - -What is Installed Base Planning? 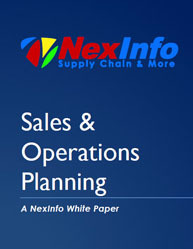 -How can you meet the supply chain goals using service parts optimization with Installed Base Planning? -Where to stock service inventory to support an installed base data management? -How to use Installed Base data to calculate the forecast? -What is the proper target stock level for each part at each location to support the forecasted demand? Warehouse Inventory management and rationalization helps upstream oil and gas companies keep assets running more productively and safely. Rationalizing maintenance inventory with analytics optimizes warehouse management by optimizing space, resource time, and eliminates the compulsion to overstock. Warehouse Inventory management and rationalization helps upstream oil and gas companies keep assets running more productively and safely. How to effectively rationalize spare parts inventories at the business unit level, across onshore and offshore warehouse facilities for the needs of upstream oil and gas companies? Read this whitepaper on Warehouse Inventory Management to learn how the analytics assisted process helps upstream oil and gas companies to: • Boost offshore warehouse efficiency and safety • Maximize offshore storage space • Achieve high service levels while avoiding inventory build up This whitepaper sees how well-managed spares inventories help oil and gas companies to meet its objectives. Achieving and maintaining inventory optimization is possible and profitable only with the right tools and the right type of help. 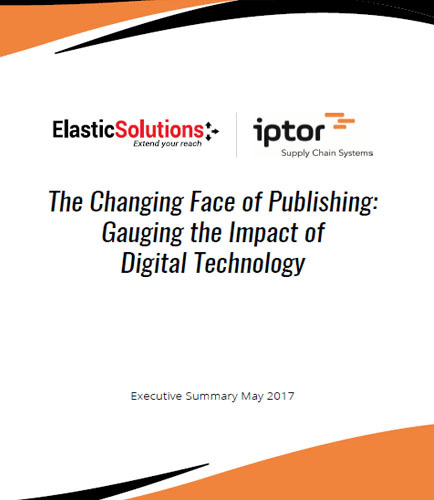 The proven best practices in this whitepaper are fundamental to achieving the significant inventory reductions and substantial bottom-line savings that are the hallmarks of inventory optimization. 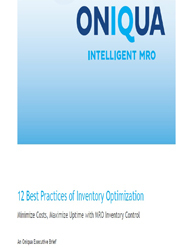 In this whitepaper on ‘’ Inventory Optimization’’ you will: Learn 12 essential best practices of MRO inventory optimization Discover the types of quantifiable benefits major Oil & Gas companies around the world are currently achieving by adopting many of these best practices Discover the unique requirements of managing inventory in an asset-intensive/MRO environment Download this practical guide to 12 high-level business requirements for optimizing critical and non-critical MRO inventory spares and consumables, along with the elements of an ideal inventory optimization system. What is Benchmarking? Benchmarking is a specific process in which an organization compares its cost and performance data against data from a similar entity, to better understand both its position in the market and the current state of the business’ health. In this informative whitepaper we will explore why benchmarking processes are more important now than ever, and discuss some of the challenges that decision makers may face when attempting to utilize benchmark data. It addresses: What are the three key elements that are covered by benchmarking process? What are the significant benefits of benchmarking? How to find a trusted source of relevant benchmark data? What are the key steps involved to deliver insightful, actionable intelligence to a distribution organization in answering to the benchmarking challenges? 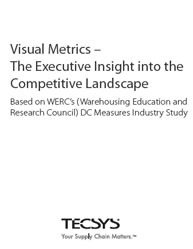 Download this whitepaper that examines benchmarking and how businesses can use embedded benchmark data from top performers to benefit their warehouse and supply chain.